Tijuana, Johannesburg, Manila, Paris, Jet Setter, Seattle Spotlight Rio De Janeiro, all names of fabulous games at Gala Bingo players. Some of them Windicate Games, others not! Look for those great multi-hundred £ jackpots at Gala Bingo and play from 1am right through to 5 minutes to Midnight! Gala Bingo’s games range from 5p Linked Games, to 15p Rolla Ball Games, Linked Jackpots, to 10p £500 games, 10p £2k Linked Jackpot Games, 10p £500 Prize Promise games and so on and so on! So if you want variety, quality and quantity – make sure you tune in regularly to Gala Bingo! Happy Birthday to Them – Happy Birthday to Them (Gala Bingo that is). 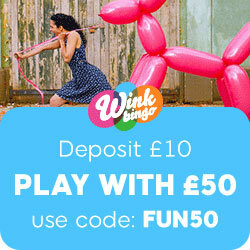 Yes, Gala Bingo is now 5 years old and part of the birthday celebrations is the “Happy 5th Birthday” games – you bet 5p and get to win £555.55 – each Saturday during February – so you’ve got two more changes to win players. Don’t miss either! The “Meteor” has now landed – you can actually scoop for yourself an astronomical 1,000 times your card price today – maybe tomorrow and the next day as well! Play now, play ‘Meteor Money’! BUT WHAT IS ‘Meteor Money’ actually? It’s the new brilliant Gala Bingo scratchcard game – where players really can scoop 1,000 times their card price. Now the card price varies quite a lot (from 10p all the way up to £50) so the amount you may end up collecting varies a lot as well! You might collect £100 – you might collect £50,000! The good news is that you can play anytime, just plug into Gala Bingo and click through to the Games Tab. If you just happen to be in the Bingo Club, go to the scratchcard tab in the Games menu! This entry was posted in Bingo Blog and tagged Gala Bingo on February 18, 2011 by Emma. Gala Bingo has put on a great set of promotions for the opening month and if you click onto their ‘Promotions’ page at the moment you will see the site and its customers are already set for another generous month. Below are some of the most noteworthy Feb promotions that are displayed at the moment. February 3rd, 10th, 17th and 24th you can Gala will be slashing ticket prices and you will be able to play free bingo or trade your prizes in for larger ones throughout the whole of them days. February 8th, 15th and 26th you can take your chances in the free bingo bonus draws where you could win free bingo for the entire month! Plus there will also be the National draws where you could be in with a chance of winning, 5k holiday vouchers, 5k cash or a brand new Peugeot 107! Could it be your lucky valentine’s day with Gala Bingo this year? Even if you only have a fiver to play with you can still play on the special games set fir this day which include huge cash prizes for the lucky winners. You will also have the chance to win a trip for two to Paris. Later on in the month you can still find some very generous prizes for example on the 22nd of the month Gala are halving their ticket prices for you so you can get double the amount of bingo fir your money. The best bit about this promotion is that the jackpot prizes will remain the same size! Finally on Sunday the 26th if the month you can join a huge link game absolutely free and be in with a chance of winning a whopping £6k. This entry was posted in Bingo Blog and tagged Gala Bingo on January 27, 2011 by Emma. The very humble penny has made a comeback at Gala Bingo this month and it will be all about bringing their members the chance to win big for those penny stakes. What is it they say……..see and penny pick it up and all that day you will have good luck, pass it on to a friend and your luck will never end………well those pennies really could be good luck for you this month at Gala Bingo online with their fun Penny Bazaar. The penny bazaar games will be taking place at Gala Bingo every single day throughout January 2011, and this leading online bingo site will offer every person the chance to grab up to 60 1p tickets as part of its special January Penny Bazaar. This entry was posted in Bingo News and tagged Gala Bingo on January 19, 2011 by Emma.